Whichever way you choose to explore Hawaii, you first need to decide what attractions and sights you would like to see. I had a difficult time coming up with a list like this of five must-do activities, as there are at least 50 incredible things to do in Hawaii that are worth the time, effort and expense. 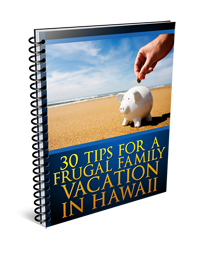 However, since you have limited to time visit the islands, I’ve tried my best to come up with the five activities and destinations that absolutely shouldn’t be missed when you travel to Hawaii. Hawaii, in all of its lush, green glory, is really a land of contrasts, with stark white beaches, towering black cliffs, modern art, ancient culture, and a vibrant mix of people,. There are so many diverse features and highlights that beg to be explored. 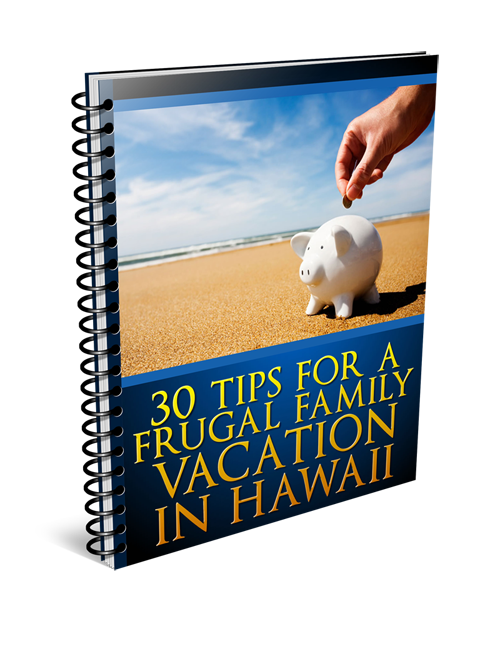 If you’re traveling to Hawaii and need a little inspiration as to where to start, or have a budget and time constraint that must be adhered to, take this list of five must-sees and must-dos and run with it. You have only excitement, wonder and incredible experiences to gain from any one of them, and you’ll no doubt leave the island paradise feeling like you’ve had the vacation of a lifetime. On The Big Island of Hawaii, you’ll want to visit the Puako Petroglyph Archeological District, which is the largest concentration of petroglyphs in the Pacific. The word “petroglyph” comes from the Greek words “petro,” which means rock, and “glyphein,” which means carve. Ancient Hawaiians gently fashioned stone into petroglyphs, and their beautiful k’i’l pohaku (art) is brilliantly displayed for visitors to see and admire. The Puako Petroglyph Archeological District contains carvings that are thousands of years old and includes incredible portrayals of animals, dancers, sailors, children and gods. The Hawaiians hold the Puako Petroglyph Archeological site sacred, and travelers to this awe-inspiring destination are encouraged to show the utmost respect for these cultural and historical treasures. If you’re visiting Maui, you may have heard about the Road to Hana, which is talked about often by tourists and featured in many travel books. This long and winding road is filled with 617 hairpin curves, 56 one-lane bridges and the most incredible scenery that you may ever see in Hawaii—or anywhere else, for that matter! Your adventure will begin at the Kahului Airport and end in the sleepy little town of Hana, 53 miles down the road. However, it’s not the town you’ll be traveling for, although it is quaint. The journey on the Road to Hana is the real experience. The Road to Hana is best enjoyed when you can take a tour bus or share driving responsibilities with someone else in the car. You absolutely won’t want to miss the views of towering cliffs and tropical jungles along the way. Take a look at the black lava rocks, foamy seas and gorgeous waterfalls that appear when you’ve almost reached the end of the road. If you care to keep going past Hana, you’ll come to the Seven Sacred Pools, or Ohe’o Gulch, which is a collection of pools and waterfalls inside Maui’s Haleakala National Park. Our third pick for “must-do” adventures in Hawaii also brings us to the lovely Island of Maui, which you can always count on for breathtaking and miraculous sights to share with eager eyes. Leleiwi Lookout is a unique place on Maui where you’ll be able to witness a marvel of nature that is only visible in two other locations on earth: Germany and Scotland. As you’re driving up to Haleakala Crater, at an elevation of 8,800 feet, you’ll come to a vantage point that allows you to look out over the 3,000-foot crater and gaze upon this unique and stunning sight. You’ll want to plan your visit to Leleiwi Lookout so you’ll arrive around sunset. Follow the signs for Leleiwi Lookout, park, get out and prepare for a sight that will blow you away. Looking down upon the crater, when the clouds are in a low position in the sky and the sun is perfectly behind you, you’ll see a phenomenon that is one of the most beautiful on the planet. Look out to the clouds and you’ll notice a reflection of your own shadow surrounded by a rainbow halo. This illusion is called “the Spectre of the Brocken” and is brought about by a perfect combination of sun, mist and shadow. The Hawaiian people call this rainbow reflection akaku anuenue, and they believe that it represents seeing your own soul. Hawaii has more natural wonders than most places on the planet, but part of experiencing the islands is getting a feel for the culture and the people who live there. At the Royal Hawaiian Center on Oahu, you’ll be able to get a taste of Hawaiian life, complete with authentic dance and music performances, delectable foods and shopping opportunities that allow you to pick up great wares representing the spirit of Hawaii. The Royal Hawaiian Center is a 310,000-square-foot entertainment center—one of the largest malls in Hawaii. The Center is a great way to see how old Hawaii and new Hawaii have merged, presenting residents and tourists with a wonderful space to enjoy a meal, gather with one another and even learn the hula or hear a drum chant. Hiking through the Kamakau Preserve on the Island of Molokai is absolutely a must-do. Journeying to this magical, enchanted place is one of the best ways to see the natural beauty of Hawaii in all its splendor. At the Preserve, nestled high up in the mountains of East Molokai, you’ll be able to roam through a biologically rich rainforest that is a habitat for more than 200 species of birds, insects, plants and animals. Visitors to the preserve take the boardwalk into the moss-covered forest and witness a pristine wonderland that includes 2,744 acres of native plants. This rainforest is so unique and revered that it was granted conservation status in 1892 and is now under the protection of the State Department of Land and Natural Resources. Don’t forget to watch out for the incredibly rare Molokai thrush and creeper, two rare animals recently seen in the Preserve. Remember: If you need to book accommodation in Hawaii, on any island, don’t look beyond Otel.com. Their low-price guarantee and 5% cash back offer make it one of the cheapest places to book your hotel, airfare and other travel needs online! Use this list as a guide to the best things to do when you visit every island, or pick the things that sound the most fascinating to you and visit the islands that host them. Wherever you go, you’ll be in for a true adventure!